As a bicycle accident lawyer in Michigan, I am thrilled to report that HB 5438, passed unanimously by the House, seeks to include information about bicycle and motorcycle laws in Michigan drivers’ education courses. During Lucinda Means Bicycle Advocacy Day on May 21, Michigan cyclists and their advocates requested a hearing on HB 5438. Not only did a hearing take place, but after testimony from the bicycling and motorcycling communities, the bill was voted out of committee and was sent to the house with over 74 co-sponsors. Including more information about bicycles and motorcycles and how they legally operate on Michigan streets in drivers’ education courses may also go a long way to combating the unwarranted stereotypes, hostility, and abuse both bicyclists and motorcyclists face while on the road. The passage of HB 5438 is a major accomplishment and definitely a step in the right direction. We’ll continue to monitor this bill as it makes its way to the Senate. 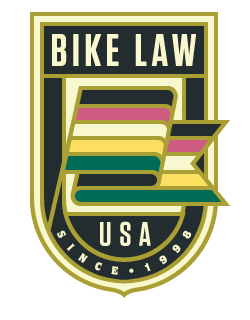 This article, Bicycling Law could be included in Michigan Drivers’ Ed, was originally published on Bike Law on June 5, 2014.